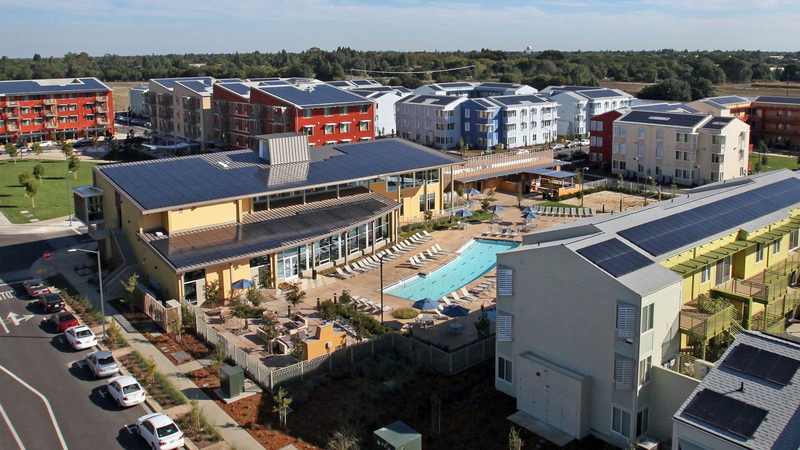 West Village at University of California, Davis, is the largest planned zero net energy neighborhood in the U.S. Photo credit: West Village, UC Davis. Over two-thirds of the energy we currently consume in the U.S. is wasted. College campuses are no different. In campus buildings, which consume more than four-fifths of the energy used by universities, improved energy efficiency can cut overall energy use by up to 60 percent. Energy efficiency measures are the cheapest way to meet many energy needs and reduce associated emissions. Many solutions are available today and can be deployed quickly. Innovation Hubs: Campuses provide testing grounds to save energy, using “intelligent” information technology and experimenting with zero-net energy and passive building techniques. The Georgia Institute of Technology opened a carbon-neutral research lab in 2013 and is building another facility as part of the Living Building Challenge, a green building certification program. Colleges spend almost $6 billion on energy each year, and present multiple opportunities for building energy efficiency gains. In 2011, Allegheny College joined the U.S. Department of Energy’s “Better Buildings Challenge,” committing to reduce building energy intensity by 20 percent by 2020. Since then, efficiency improvements across campus have reduced energy intensity for all of Allegheny College buildings by 15 percent. One project, a renovation of Carr Hall to make room for Allegheny College’s growing Environmental Science department, made the building 23 percent more efficient through improvements such as better heat recovery and energy-efficient lighting. Students have also contributed to making buildings on Allegheny’s campus more energy efficient. For example, a group of students helped set sustainability goals for a new residence hall project and provided feedback on its design. As a result, the LEED Gold-certified building has energy-efficient light fixtures controlled by sensors, energy-saving motors in building equipment, large windows that allow sunlight in and bright colored paint to reflect it around rooms, as well as other clean energy and water conservation features. Allegheny College issued a bond to cover the building’s construction and will benefit from energy savings for many years to come. 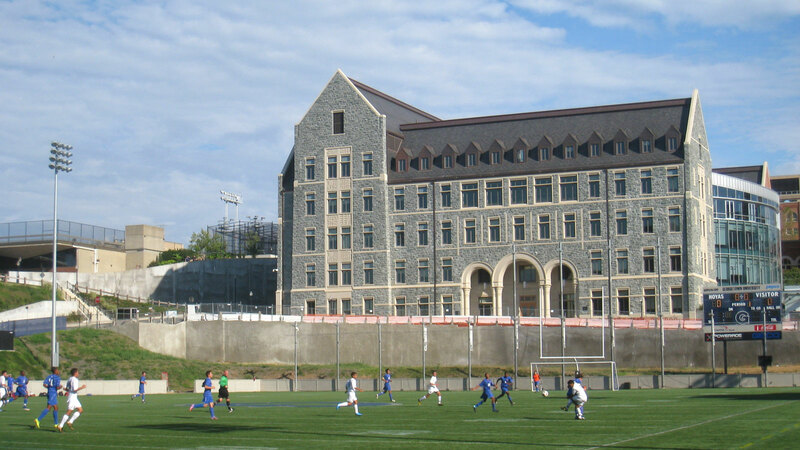 The Rafik B. Hariri Building at Georgetown University includes efficient lighting and ventilation features. Clean energy adoption at Georgetown University includes extensive efficiency and conservation efforts, as well as on-campus renewable energy installations and renewable energy purchases that surpass the amount of electricity the campus consumes each year. The university has committed to use energy efficient practices in all new building construction, conducting building energy audits, and investing in energy efficiency retrofits in buildings. The efficiency and conservation efforts Georgetown has invested in since FY14 save at least 3.3 million kWh of electricity and 82,000 million Btu of natural gas annually, cutting CO2 emissions equivalent to taking nearly 1,200 cars off the road.